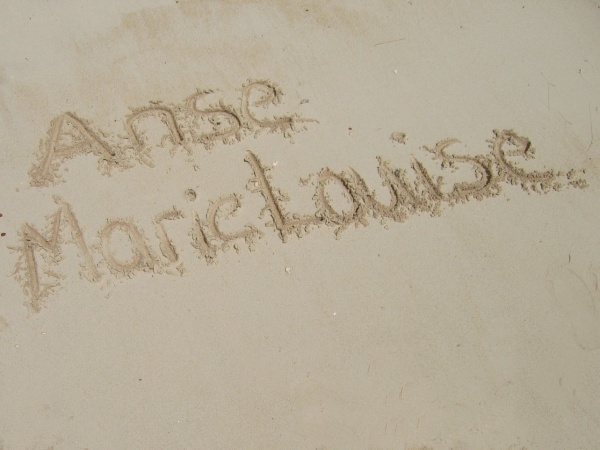 Anse Marie-Louise is 495 steps long and located near a pier between two steep slopes. 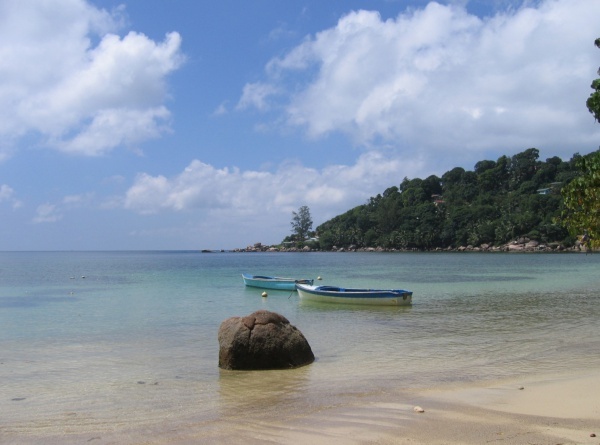 This nice flat sand beach has calm water and is always safe for swimming. It is framed by large round granite rocks; and several Takamaka trees shelter it from the nearby street. Fishermen anchor their fishing boats in the small bay. From Anse Marie-Louise colourful local houses can be seen in the surrounding mountainous landscape.